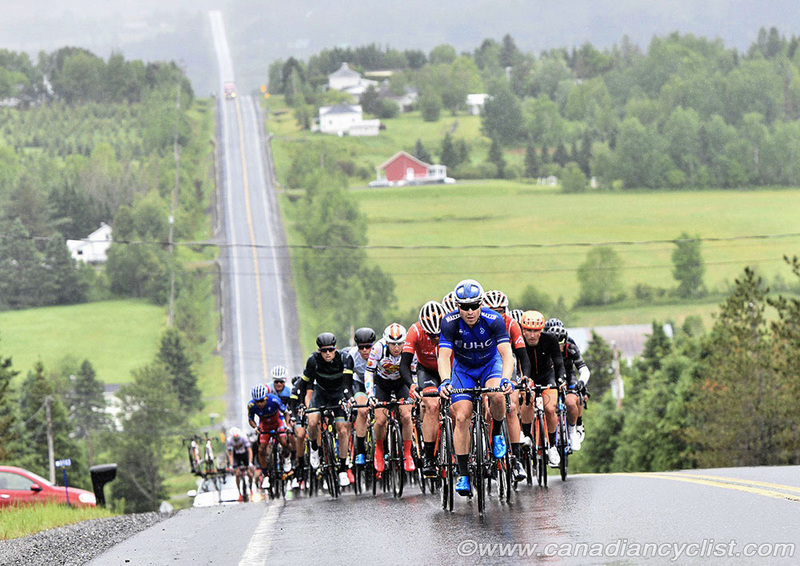 Once again, the Mont Megantic stage of the Tour de Beauce proved to be decisive, with a new race leader donning the Yellow Jersey after the final five kilometre climb. Jack Burke (Jelly Belly p/b Maxxis) soloed away from a select group of riders to win the stage and move into the overall lead. The 169 kilometre second stage from Lac-Megantic to the final climb up to the top of Mont Megantic is the Queen stage of Beauce. Riders face constant rolling hills and four categorized climbs before they reach the final one, which features sections of up to 18%. 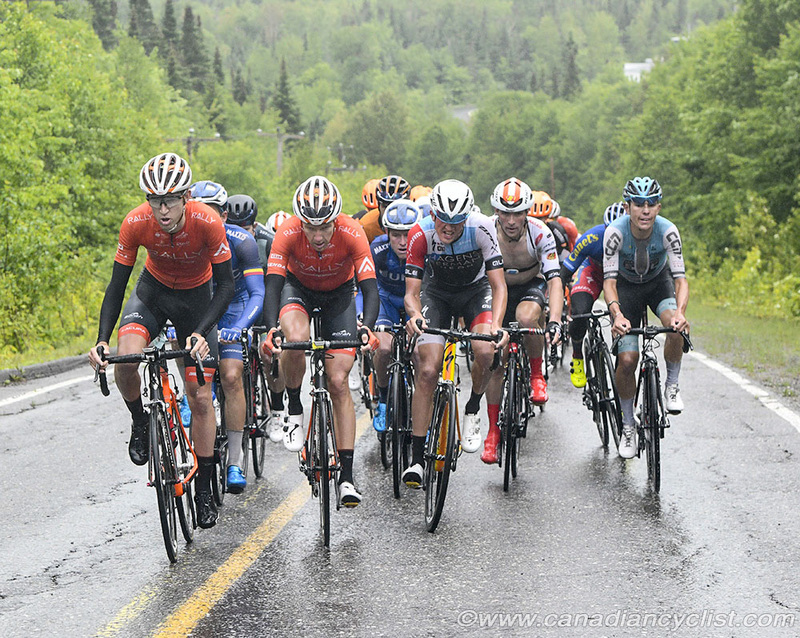 Add to this driving rain for much of the stage and temperatures as low as 9 degrees [Celcius], and it was not surprising that eight riders abandoned, with the final finishers coming in nearly one hour down on Burke. 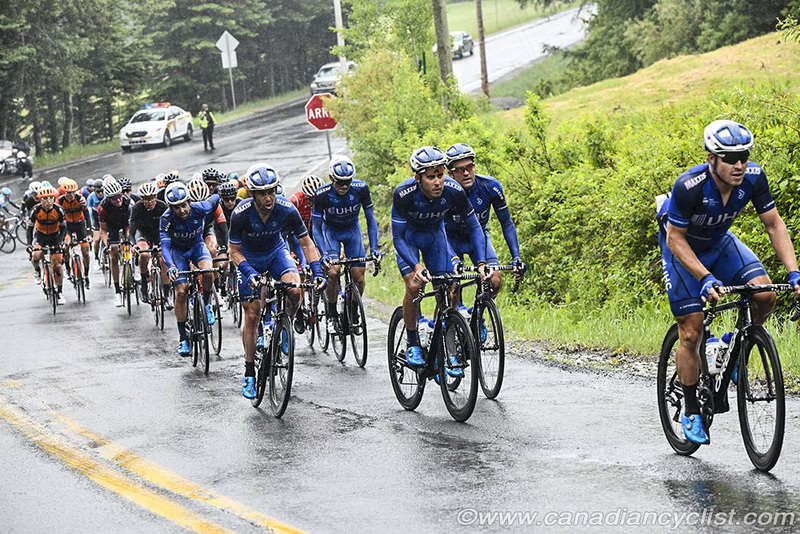 The field initially split in the first 20 kilometres, with 49 riders going clear of the rest of the field, which included the Yellow Jersey, Pier-Andre Cote (Silber). The gap went over two minutes before the peloton regrouped after 80 kilometres. 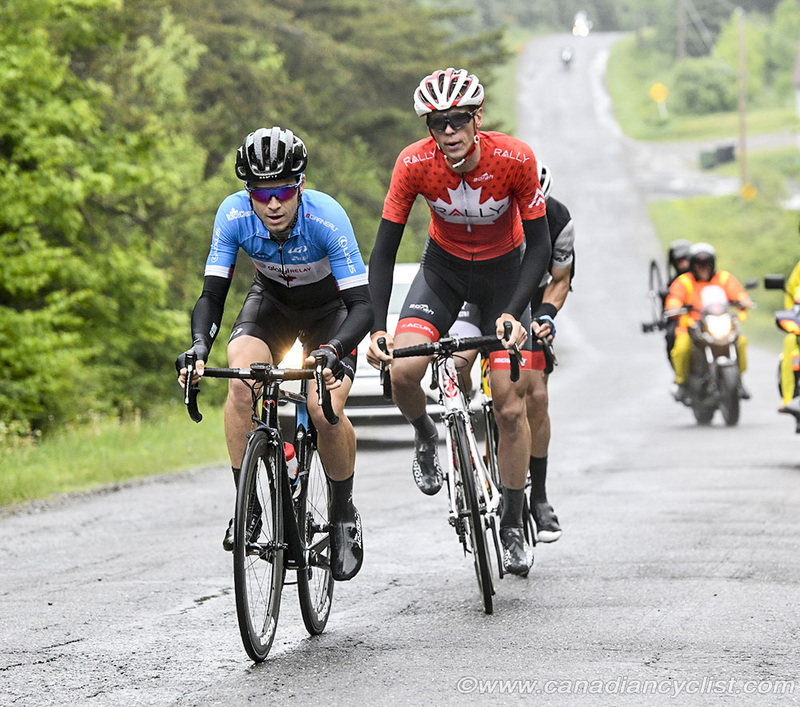 While this chase was happening, three riders went off the front at the 45 kilometre mark - Ben Perry (Team Canada), Stage 1 second place finisher Rui Oliveira (Hagens Berman Axeon), and Matteo Dal Cin (Rally), the Canadian road champion and defending Megantic stage winner. They quickly opened a two minute gap before UnitedHealthcare went to the front to limit the time loss. Dal Cin and Perry were doing most of the work in the break, with Oliveira clearly there to grab Sprint points; which he did well enough to take over the Points Jersey by the end of the stage. After the final intermediate sprint with 50 kilometres to go Oliveira dropped off, leaving the two Canadians at the front. 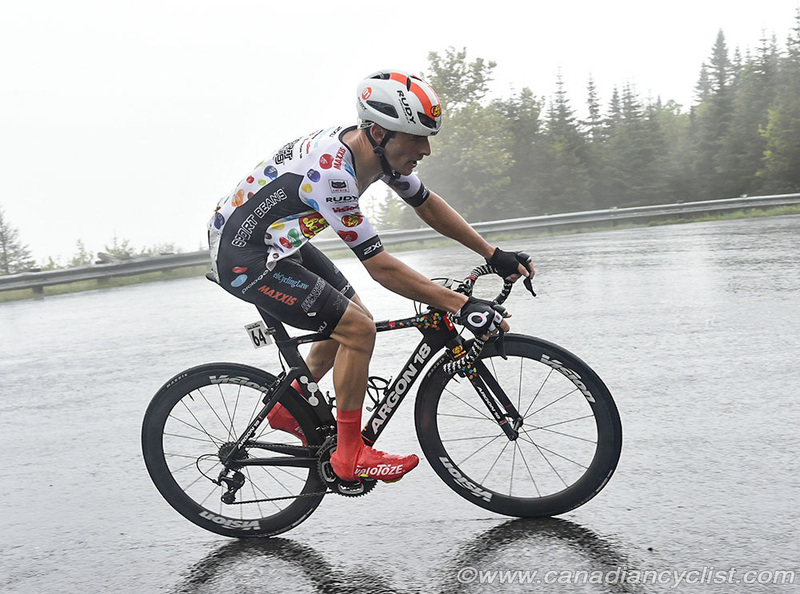 The gap began to fall as it got colder, the rain got heavier and the wind picked up, with the two leaders down to a 1:20 lead at 20 kilometres to go. The pair were finally caught with eight kilometres to go, and three kilometres to the base of the final climb. As the race hit the steep section at the base of the climb, nine riders went clear of the rest, with Colin Joyce (Rally) setting the pace for team mate Rob Britton. Burke, Thomas Revard (Hagens Berman Axeon), Serghei Tvetcov (UnitedHealthcare), Adam Roberge (Silber), Keegan Swirbul (Jelly Belly p/b Maxxis), Daniel Whitehouse (Interpro Stradalli) and Alexey Vermeulen (Interpro Stradalli) were also near the front. When Burke launched his attack with a little over three kilometres to go, no one could respond, and the just-turned 23 year old rode clear to a 30 second victory over Revard, with Tvetcov at 47 seconds. Burke took the overall lead with a 34 second gap over Revard, followed by Tvetcov at 53 seconds. 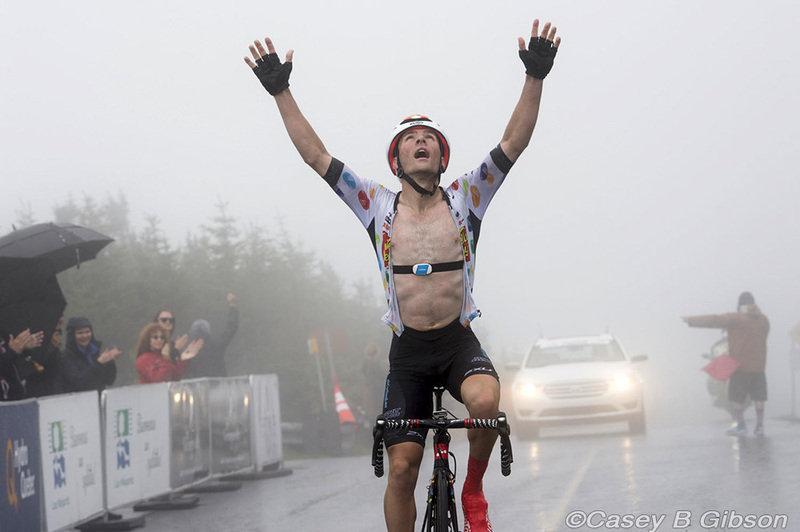 Revard moves into the Best Young Rider Jersey, while Ben Perry takes the Climber's Jersey after winning three of the KoM climbs during the stage. "This stage has been a huge focus for me for the last five weeks," said Burke. "I didn't think I would have as good a ride as I did. I was feeling really good at the bottom of the climb and looking at the other guys, and they looked like they were hurting a bit, so I figured I would give it a crack. I'm ecstatic about the final result, it is the biggest of my career." On Friday, the General Classification could easily be shook up again with a morning 20 kilometre individual time trial. Burke admits time trialling has not been his strength in the past, but thinks he has improved. Adam Roberge, the reigning Canadian Under-23 time trial champion, sits fourth at 58 seconds, with Britton at one minute. A long shot would be ten-time Canadian time trial champion Svein Tuft (Team Canada), 2:37 back.